Nick is the innovation and strategy lead for Saga’s award winning over 50s insurance business. 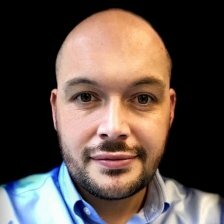 Currently, Nick is responsible for defining and developing the long term strategic direction of the insurance business, as well as overseeing the firm’s innovation programme, which aims to leverage technology and creativity to find new ways to solve the problems that people aged over 50 face every day. Nick has over a decade of experience within financial services across a number of different disciplines, and has also contributed as a commentator on fintech and insurtech to a number of online publications.